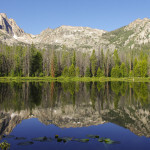 Robin Lakes, with gem-colored sparkling water and towering, white granite mountains, is often referred to as the “Little Enchantments.” Much like the Enchantments, you will have to work very hard to get to this little slice of heaven. 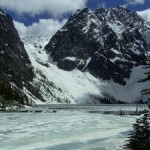 But without the protective permit system of the Enchantments, you will likely also have to share it with many others. 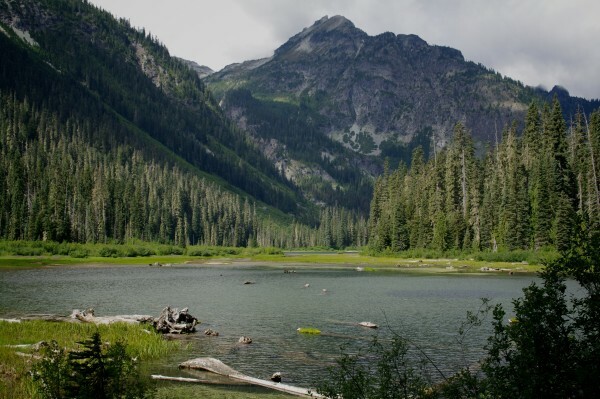 It’s 14 miles round trip to Robin Lakes with 3000 feet of elevation gain, and it makes a great overnight destination – or you could spend several days exploring all the lakes and wonders of the trail. The way starts out from the popular Deception Pass trailhead and is nice and flat for about 3 miles as you walk through meadows with views of the iconic Cathedral Rock. Soon you will reach the expansive and tranquil Hyas Lake. 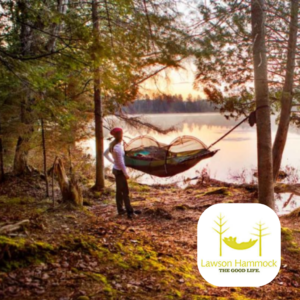 This is a great option for families, as camping spots abound on this mile-long stretch of the trail along the lake. But don’t get too comfortable on the flat land. After passing Hyas Lake, the trail begins to climb to a junction at 4.5 miles. The trail to the left goes to Deception Pass; head right to begin the climb to Tuck Lake. 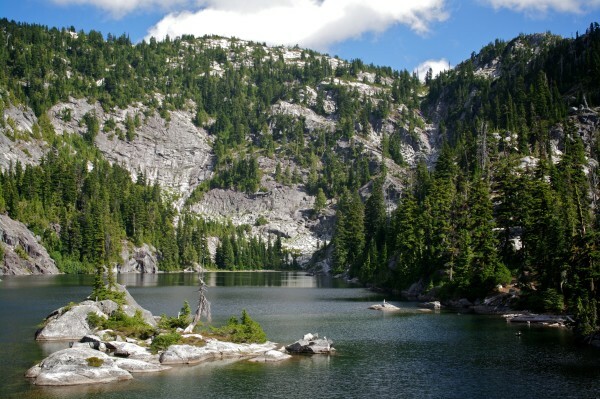 For some reason Tuck and Robin Lakes, with all their beauty, were not found worthy of the Norse God status of the Enchantments. In fact, an official trail was never built to the lakes – supposedly to discourage visitors. Well, the secret has long been out, but the trail has little improved from its old fireman’s trail status. The way is obvious here, but it’s steep, rocky and rooty – the kind of trail where you need only lean back slightly toward the slopes to find a nice reclining position for a snack. Finally at 6 miles, you reach Tuck Lake with its charming rock island. You can camp here, but there are very limited spots and it’s often quite crowded. It makes a better lunch spot to refuel for the last push up to Robin Lakes. From here the way is a little less obvious with many social paths leading away from Tuck Lake. But generally, you head straight up and over the granite boulders. There were a few spots along this stretch where we had to help our dog up the big rocks. 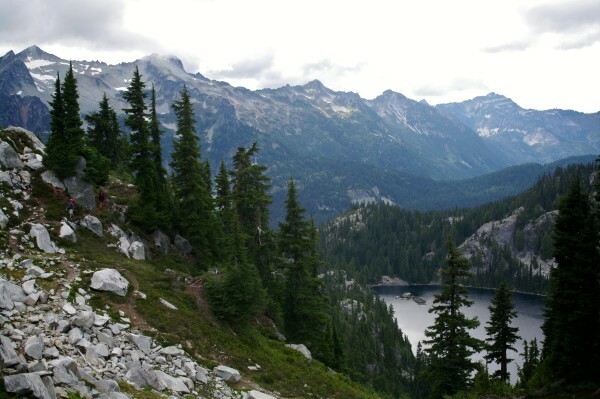 This section of the hike is where you will begin to see the resemblance to the Enchantments. Tuck Lake glimmers below, and Mt. Daniel, with its impressive glacier, emerges as you climb seemingly impossible granite boulders. The cairns will show you the way to the top of the ridge if you can take your eyes off the views. When you crest the ridge, the lakes come into view in all their glory. Drop down into the basin for a closer look. There are many places to camp in the flat basin along the lower lake. For more privacy, head up the arm between the two lakes or to the far side of the upper lake. To beat the crowds, go late in the season. We did this hike over Labor Day weekend and there were only a handful of parties at the lakes. However, always be prepared for any kind of weather conditions in this area, especially in late summer. 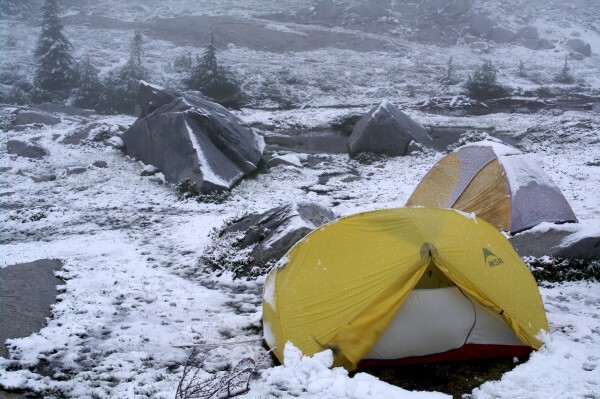 We were surprised to find a few inches of snow on the ground around our tents in the morning. 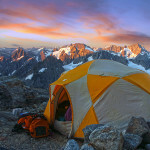 The Enchantments – The Lottery for Prime Time Backpacking Begins Now! !